Everlast Composite Siding in Randolph NJ - New Jersey Siding & Windows, Inc.
Timeless beauty and endless strength come together with Everlast composite siding. Virtually maintenance-free for 50 years, New Jersey Siding and Windows installs Everlast brand siding because our customers demand the best. You’ll notice a difference with the product the first time you see it offering the 7″ or 4″ profile to mimic true wood clapboard. Our highly skilled staff will help you choose the best colors and options for your home. Everlast is designed with solid construction that withstands the elements without bending or bowing. The clapboard planks align with the exterior of homes perfectly and are outfitted with quality trim that blends perfectly with the cladding. All Everlast materials are made from polymeric materials that are eco-friendly and easy to clean. Everlast siding is made of 100 percent recyclable content that holds no natural wood fibers. Additionally, no harmful silica dust is dispersed with the cutting of the product for installation. The natural polymeric and inorganic mineral construction is built with family needs for structural integrity and easy cleaning in mind. Everlast materials come in a wide variety of vivid colors that are set with ColorHold UV-stable technology and offer a Lifetime Fade Protection warranty. 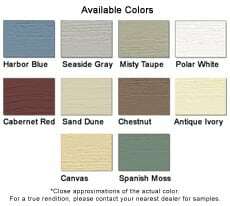 The cladding is also paintable, which allows for changing tastes over time or exact color matches. With Everlast composite siding backed by New Jersey Siding and Window’s installation, your home will be the street standout for years to come. 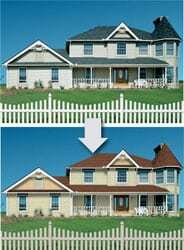 We understand that re-siding your home is a big task. New Jersey Siding and Windows customers know they can trust our dependability and attention to detail. We exceed expectations in craftsmanship and customer service, and continuously strive to be the best in all aspects of our business. Visit our before and after gallery to see the extreme difference that re-siding can make for your home. We offer financing options and other discount specials to help make the purchase and installation of new siding affordable to a wide variety of Northern NJ residents. Get a free in-home quote for re-siding your home today with the experts at New Jersey Siding and Windows. From bold to subtle, striking to soothing, Everlast has the color you’re looking for. Everlast Polymeric Siding is made with the environment in mind. At New Jersey Siding & Windows, Inc., we stand behind every product we sell. From windows and doors to gutters and siding, we offer quality products at reasonable prices. For homeowners who are in the market for quality siding, one of our best product offerings is Everlast Siding. Everlast is unlike any other siding you have considered. The moment you see it, you will understand why. Everlast’s solid construction ensures the planks do not bend or bow. They align perfectly against the outer walls of your home. Distinctive trim choices from the Everlast Trim Collection are manufactured from the same polymeric material to ensure a look that perfectly blends with and naturally fits your Everlast siding, all providing you with a beautiful finish. Unlike other solid siding products, Everlast Advanced Composite Siding is lightweight yet durable enough to withstand fierce wind, scorching summer temperatures, and subzero winter temperatures. Finally, ease of care comes naturally with Everlast products. It’s easy-to-clean, low-gloss surface returns to original luster with a simple hose-down. Stains like crayon, paint, and oil are removed easily with standard household cleaners. Whether you choose Everlast for its beauty, strength or ease of care, it is a choice you can make with confidence. Chelsea Building Products is proud of its product, and it stands behind it for life. Everlast Polymeric Cladding is backed by a transferrable Lifetime Performance Warranty in addition to Lifetime Fade Protection resulting from its ColorHold® UV-stable acrylic polymer. In addition, Everlast Advanced Composite Siding is warranted against hail damage which your homeowner’s insurance may not cover. To learn more about Everlast Siding, contact a member of our team today. From bold to subtle, striking to soothing, Everlast has the color you’re looking for. What’s more, every shade includes Norandex’s ColorHold® UV-stable acrylic polymer and is backed by a Lifetime Fade Protection warranty, so years from now, you’ll love it just as much as you do today. Everlast Polymeric Siding is made with the environment in mind. From structural components to installation and cleaning methods, we’re doing what we can to leave the smallest footprint possible. 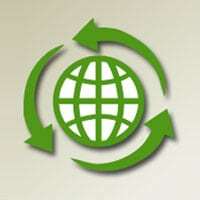 Norandex understands the importance of taking care of the environment and conserving resources. Their Green Team is working every day to seek out green products that perform just as well, if not better, than their non-green counterparts.